FINALLY. Jay-Z and Kanye West's long-awaited Watch The Throne album dropped on iTunes today. Rap fans have been waiting on this collaborative project for a minute now. We already know these two hip-hop moguls are music influencers, but it's actually their killer sense of style that has our bank accounts on empty as we try to re-create their red carpet looks and everyday 'fits. Be honest, have you heard of these labels before Hov and Yeezy rocked them? Probably not. Guess you can say they've schooled hip-hop on fashion. 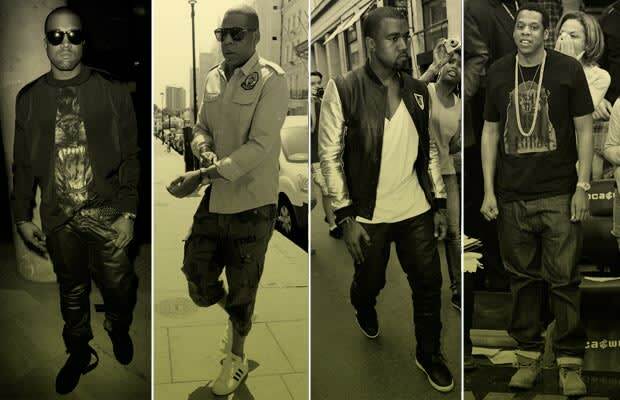 In honor of Watch The Throne, we've put together The 5 Brands That Kanye & Jay-Z Taught Hip-Hop About.